It can be assumed from the rising popularity of e-stores that they will continue to shine for the coming years with the same legacy and passion. The most prominent reason behind this vogue presence of online stores is the ease they provide to the consumers with plentiful alternatives at a single place as compared to the physical stores that demand enough time and effort with less available options. This increasing demand has given rise to the Magento eCommerce development because Magento is the reliable and most-preferred platform for creating intuitive and high-quality shopping stores. It is obvious that you must have a strong platform to build a beautiful eCommerce website and Magento tops the list to be the perfect one among myriad of options. One can take all the benefits of a digital store to embed all the best-in-class features needed for an online store. This has risen the concept of Magento eCommerce development to a large extent. Why Magento is the Best! The enormous features of Magento has so much to inject within your online store. This is the reason that entire eCommerce world ranging from startups to enterprises are managing their digital stores through eCommerce development. The flexibility, pricing model, speed and architectural improvements are few of the strengths of Magento that make it an apple of eye and expand its usage in many verticals and companies of different sizes. Magento comes packed with a perfect blend of features, themes, and extensions using them you can do desired customization with your website. All of these features has the capability to give you extreme flexibility for offering the exact kind of experience you want to give to your customers. It might be for every possible event when they visit your site and browse the products you sell. Like for say, you can customize payment methods by giving assortment of options. Moreover, Magento has a localization support for many languages with different tax rates and currencies that will let your digital store function in many countries without ambiguity. Although, there are several other CMS available in the market that can help developing an online store. But technically, they are not built with the intent of creating online stores and use of different plugins helps in creating perfect running e-commerce site. They do not provide all the resources that Magento does to create an interactive website that is easy to handle. Focus of Magento is solely on eCommerce stores to take out the perfect results. The Magento Community Edition is a completely free version of Magento with its source code open and you don’t need to pay for any kind of license. It means that user has the flexibility to see and modify the code to make it compatible as per your needs. Moreover, it offers a unique experience to the customers who visit an eCommerce site. There is a continuous improvement in the platform because with every user who experiments with the code, there is a possibility of upgrades for a better platform without any kind of payment. Magento’s admin panel allows to manage different stores in a single panel, no matter if the e-commerce websites are in different languages with different nature. You can do all the modifications you need in one of the stores or in all of them if you want. 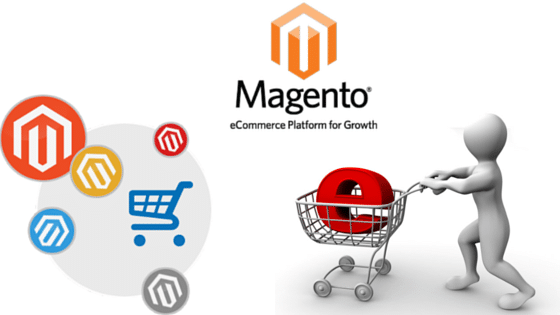 A Magento e-commerce website can be easily optimized for any kind of platform. It means that these sites are accessible from any device such as a PC, mobile or tablet and adapt to their behavior as being a responsive site. It is a beneficial approach as your audiences won’t be limited to one type of device and can get into your website from everywhere. Your public will be wider in a short span of time and you will get increase in sales. Magento eCommerce development becomes the favorite choice of store owners to take out the best for their business. With a great user experience, Magento helps in making best-in-class and easy to use websites for the customers. A good presence is quite necessary in today’s competitive world of digital business and Magento is the best option to achieve the same. This open source platform acts as a robust medium to create a perfectly complete store from where it is easy to buy desired products. This blog post has been written by Paul Schroer, who is an experienced Magento developer at PSDtoMagentoDeveloper. His writing skills are related to the smart concepts of Magento eCommerce development to help creating beautiful online stores.